Although the summer movie season is winding down to a close, one of the last big summer tentpoles arrives in theaters one week from today, Teenage Mutant Ninja Turtles. 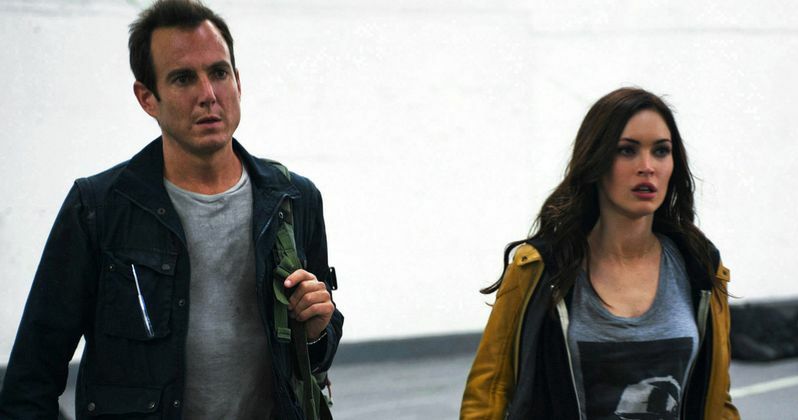 To get fans ready for these heroes in a half-shell, Paramount has released a new featurette that introduces fans to Vern Fenwick (Will Arnett), the News Channel 6 cameraman for April O'Neil (Megan Fox). Along with never-before-seen footage, this featurette includes an interview with Arnett, who reveals that Vern reluctantly helps the Turtles and April O'Neil defeat the nefarious Shredder (William Fichtner) and his Foot Soldiers. If that isn't enough turtle footage for you, we also have five new TV spots with more footage from director Jonathan Liebesman's action-adventure, arriving in theaters August 8. Teenage Mutant Ninja Turtles is directed by Jonathan Liebesman (Wrath of the Titans), and produced by Michael Bay (The Rock). The script was written by Josh Appelbaum and André Nemec, based on characters created by Kevin Eastman and Peter Laird. The cast includes: Megan Fox as April O'Neil, Alan Ritchson as Raphael, Noel Fisher as Michelangelo, Danny Woodburn as Splinter, Jeremy Howard as Donatello, Pete Ploszek as Leonardo, William Fichtner as Vernon and William Fichtner as Shredder.